With a current base of 489 cm, it should come as no surprise that Mount Washington has been rockin’ all season. With school out for Spring Break, this is definitely the mountain’s most exciting and action-packed week. 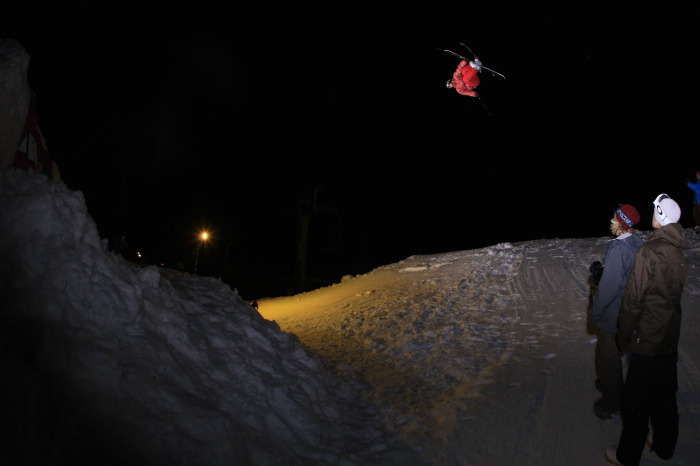 The week-long Chek News SnoJam event kicked off with the After Dark Invitational as riders from the Island, Lower Mainland and Whistler amped up the slopes under spotlights hoping to ride away with $3K. You don’t want to miss the rest of the coming week – it’s jammed full with the Barq’s Root Beer Snowtube Festival, the Beavertails Eating Contest, Dairyland Crazy Cards and the Old Dutch Mini Olympics. A full detailed listing can be found here, but this is only a sliver of the fun that Mount Washington has planned for those interested in checking out what a 5-metre snowbase looks like. As always, the nordic and alpine trails are open – including the legendary Boomerang Outback and both snowboard terrain parks. For more information on the mountain, snow reports and stay-and-play packages, visit Mount Washington’s website or call the mountain toll free at 1-888-231-1499.